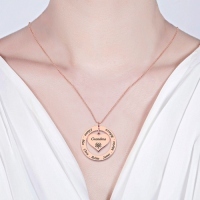 Show your grandmother or mother how much you love her with the Grandmother Necklace. 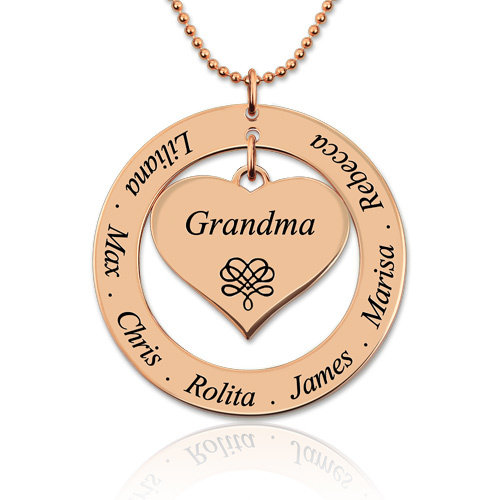 This beautiful engraved necklace features a disc engraved with all the names of the grandchildren, plus you can engrave a single word on the inside heart. It is a very special Mother's Day gift or a gift for mothers any time of year. It is a mother necklace that will truly be cherished.